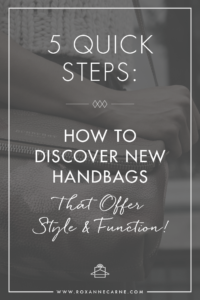 How to Discover Handbags That Offer Style & Function! 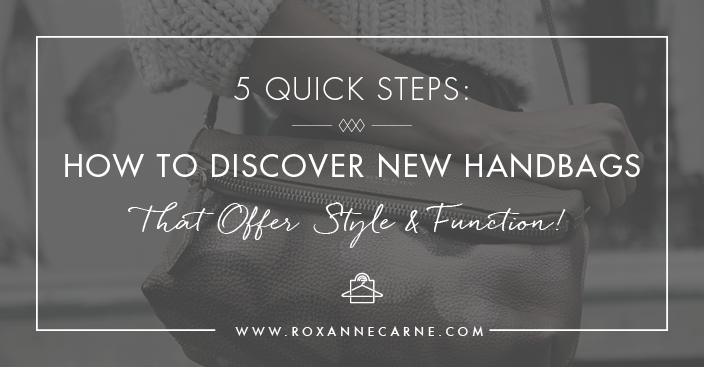 5 Quick Steps: How to Discover New Handbags That Offer Style & Function! Are you a handbag fanatic or someone that only uses them only for function? Or perhaps you always gravitate to a using a certain type of purse no matter what? You might be at a point where you want to switch up your style and try something new. Good news – I have a solution for you! Today, I’d love to introduce you to some different styles that you may not have considered. This Bag Shape infographic highlights different types of bags that can work for your personal style and functional needs. For example, many of us use Totes, but a stylish alternative that offers similar function is a Trapeze bag. So you have this nifty infographic – now what? Scan the list to identify the handbags that you already have. Re-scan the list to identify workable alternatives that fit your personal style & functional needs. Print the infographic & make note of the new bags that pique your interest. The next time you’re out shopping, take this list with you and look for these bags in the stores. Compare different sizes, colors, materials, etc. While yore in the store give them a test drive to see how they work for you. If you love any of them, buy them! Or at the very least, you have some great bags on your shopping wish list! That wasn’t so hard, was it? This method is a great way to introduce some new handbags into your life that look great and do what you want it to do! (Even for you ladies that don’t like shopping – yes, I know you’re out there!). I hope you enjoyed this – now go forth and be stylish!